Please Note: This program is currently on hold. 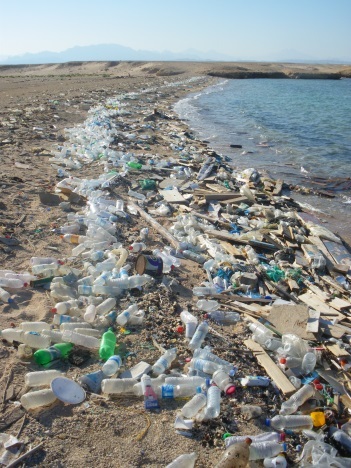 Plastic water bottles are expensive, can deplete water sources in local communities, take a lot of energy to create and transport, and last in landfills for over four hundred years. Toronto tap water on the other hand is affordable, local, low-waste, and tasty! To support schools in curbing plastic water bottle consumption, EcoSchools created a reusable water bottle refill program called Project Refill. By providing select schools with water bottle refill stations, this project will help schools move from landfill to refill. Please note for the 2018/19 school year we are currently not able to accept applications for Project Refill while the Water Refill Station we have been installing is getting a redesign by the manufacturer. We encourage schools to continue with their efforts to curb plastic water bottle usage, promote drinking water as a healthy option, and to educate their communities on local and global water issues. We will continue to update this page with any new information as it becomes available to us. How to apply for Project Refill? Commitment: Teaching 0.25 Assessed based on the level of engagement. See rubric for more details. A successful Project Refill application will include at least two targeted initiatives. One must be connected to an EcoTeam action. One needs to include a teaching and learning component in the classroom aimed at helping raise awareness around water issues and the importance of waste reduction. For ideas of what this might look like at your school, review the Project Refill Initiative Ideas resource, or see the examples below. As a first step it will be useful to find out how many plastic water bottles people use at your school. Set up a system to collect the water bottles that staff and students use for a set period of time (one week to one month). 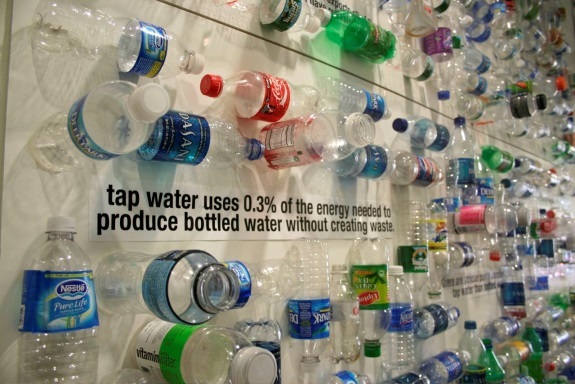 Count the number of bottles collected to create a baseline for how many people are currently using bottled water. 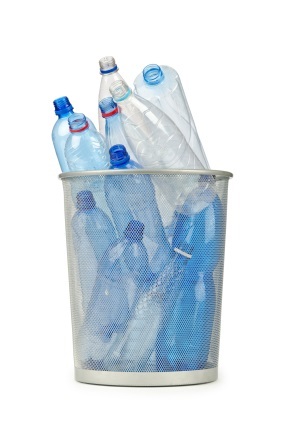 After your campaign you may want to conduct another plastic water bottle audit to see the impact of your campaign. In addition, the collected bottles can be incorporated into an educational display after you’ve tallied them (see below for display ideas). 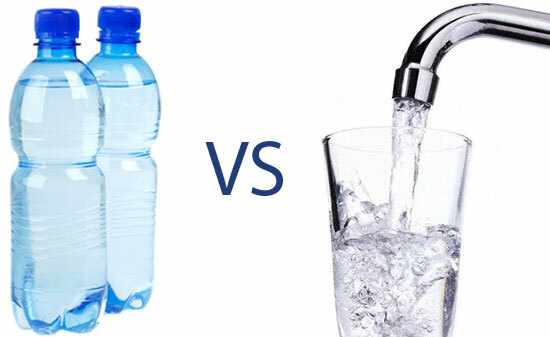 Consider conducting a poll to find out more about why people drink bottled water vs. tap. The poll could consist of a couple simple questions asked in a “hands up” survey format. The results from your poll will provide your team with some direction on what your campaign should focus on. For example, If the poll reveals that staff and students prefer bottled water because they believe it is cleaner and tastes better, your school might benefit from taste tests and an education campaign based on scientific facts. Student-made posters can be a powerful way to promote a campaign. 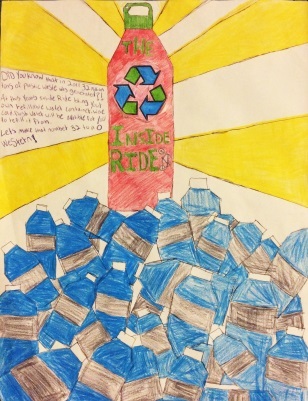 Invite students to create posters that communicate the importance of investing in reusable water bottles. Watching The Story of Bottled Water might provide your team with some inspiration. Consider including content related to your campaign in your announcements on a daily/weekly basis. Want to send the message home? Include a write-up about your campaign in the school newsletter and/or on your school website. Creating a dedicated display promotes eco-awareness and can help to inform your school community about your campaign. Using eye-catching visuals, such as a collection of used plastic water bottles (inspect your school’s recycling and garbage bins to collect samples) and/or including facts and figures can help to engage your targeted audience. Did you know in 2014 the general municipal water rate in the City of Toronto is $0.01344683/gal? Once you have built a culture of awareness, go one step further and make your school a plastic water bottle free zone. Encourage staff, students, and parents to make an eco-pledge committing to exclusively using reusable water bottles. A recording device: pencil & paper, whiteboard and marker, iPad etc. Ahead of time, pour the tap water into jug #1 and the bottled water into jug #2 (or vice versa). Try to ensure both jugs of water are the same temperature (people will often prefer colder water which could skew your results). Record responses and then reveal the contents of each jug to the participants. Were there any surprises? Moving forward, do these results influence the source of drinking water you prefer? Consider creating a display to communicate the results of your water taste test challenge to the whole school. Encourage your whole school to get on-board by hosting a competition between classes. 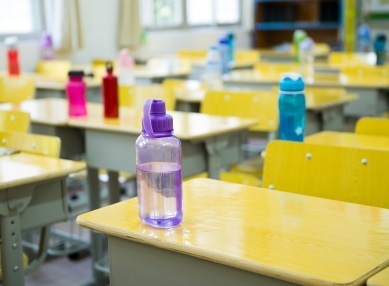 Track the number of students in each class that use a reusable water bottle and display the results in a prominent area of the school. At the end of the competition, reward the winning class with an eco-friendly prize. hosting a reusable water bottle sale or applying for funding (e.g., Metro Green Apple School Program). 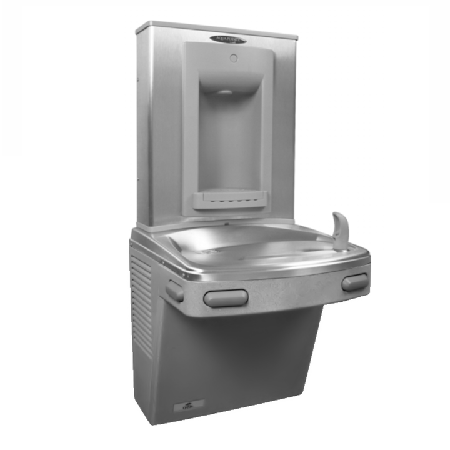 Drinking water and the environmental issues related to disposable water bottles are rich themes that can help students make deeper connections to the impact of installing a water bottle refill station. Integration into classroom teaching is a great way for students to construct their own understanding of these issues. 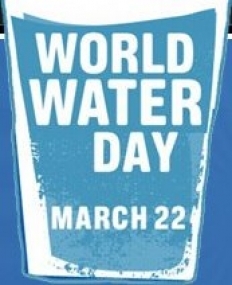 Whether it’s one class focusing on this issue and sharing their findings through a display board or an assembly presentation or the whole school exploring a common theme both offer great opportunities for connecting these ideas to the water bottle station and the broader school culture. 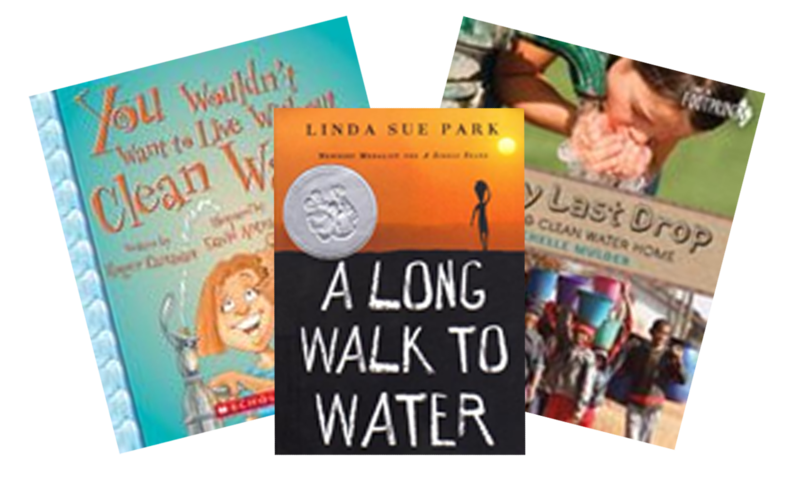 Books are an excellent way to explore themes like drinking water and the environmental issues related to disposable water bottles. Consider drawing on some of the titles in our Books with Water Themes document to help guide classroom discussions. The titles with the yellow star represent some of our favourites for exploring these topics. Check back in mid-January for our list of French resources! Unbottle Water Campaign Breaking the bottled water habit in your community created by The Centre for a New American Dream (Note: registration is required to access this resource).